A precision-made replacement part for a neck width of 1-5/8". The Floyd Rose Special Series Locking Nut R-2 is designed for guitars with neck widths of 1-5/8" (41.30mm) and a 10" radius. The Floyd Rose Tremolo System is used by more professionals throughout the world than any other. No copy can duplicate the double-locking design of the Floyd Rose Tremolo System that allows you to lock your guitar in tune at the nut and at the bridge. The Floyd Rose Tremolo System is engineered like no other Tremolo System. 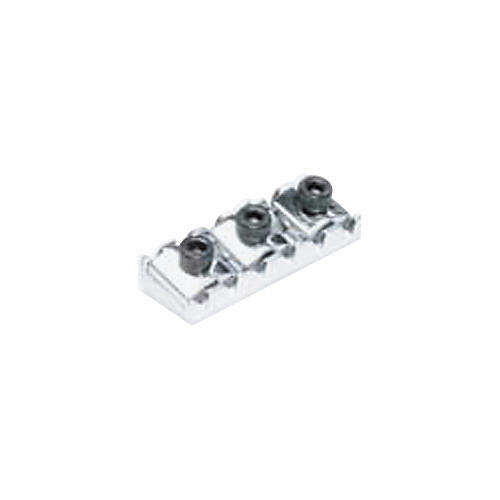 Its high quality steel parts are manufactured to exacting specifications. Get the best tool for the job. Order today.